In the eyes of most people, I probably look like I have it all together. Despite the many things on my plate—a full time job, this blog, online classes, regular exercise, church activities—I still somehow find a way to say ‘yes’ to more (an issue, I’m working on it!) and most of the time with a smile on my face. Truth be told, though, it’s a myth. Although I do have a lot on my plate and I do truly enjoy being busy, I don’t always have it all together and I can’t always do it on my own. Case in point: a while back I volunteered to make cookie favors for my brother-in-law and (now) sister-in-law’s wedding. Cookie favors…no big deal, right?! Uhh…unless you’re making 300 of them! After spending several weeks rolling out batch after batch of cookie dough, I realized the task at hand was much larger than anticipated. Although I managed to bake the 300 cookies, the thought of decorating them (not my strong point in the first place!) made me want to cry. Thankfully, I have the BEST mom and grandma, who came to town with the specific purpose of helping me finish the cookies. On our final night of cookie decorating, my attention was divided because I was also trying to make these Pumpkin Scotchies (Oatmeal Butterscotch) to bring to work for Boss’s Day. All hell almost broke loose when I added baking powder to the recipe instead of baking soda. As you can see, I was all over the place! Once again they helped me out—switching cookie trays in addition to decorating cookies AND doing some decorative painting in my family room (No doubt where I get my multi-tasking ways from, huh?). The moral of this story? I don’t deserve my mom or my grandma, but I am sure as heck thankful for them! Cherish your family members—the ones who see you at your worst, will put aside anything and everything to help you, and love you in spite of it all! The other moral of this story? Make these cookies. 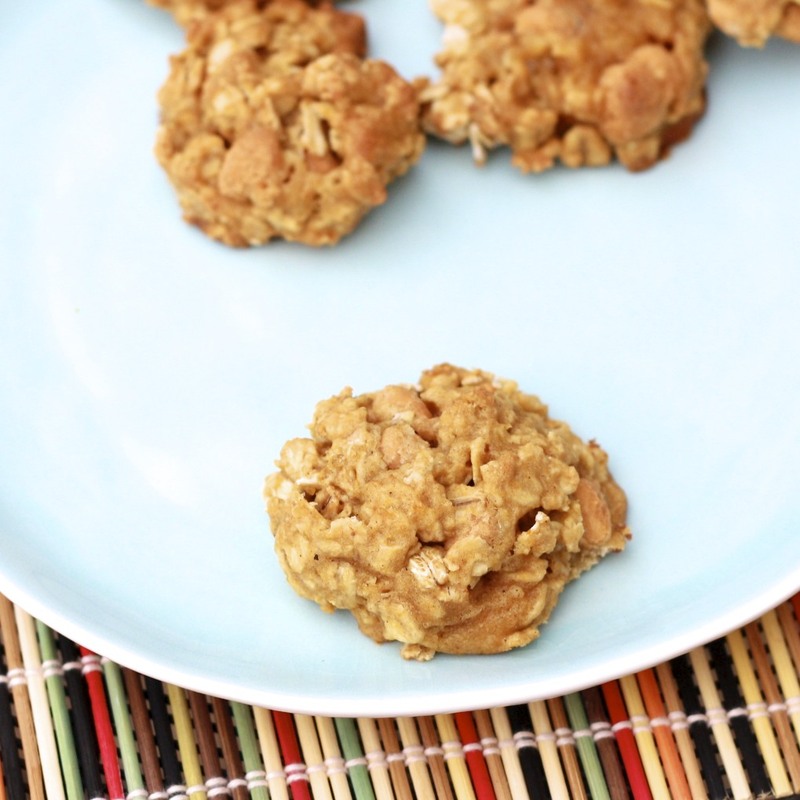 I love oatmeal butterscotch cookies, but these may have them beat. The slight flavor and spice the pumpkin adds to them is unreal. Even my sabotage of them thanks to the baking powder fiasco couldn’t ruin them (I carefully removed what I could and added the correct ingredient!). Again, I repeat: Cherish your fam. Make these cookies. Got it? 1. Preheat oven to 375F. Line two baking sheets with parchment paper and set aside. 2. In a small bowl, whisk together flour, baking soda, pumpkin pie spice, cinnamon, nutmeg, and salt. 3. In a mixing bowl, beat butter and both sugars until creamy. Add vanilla, egg, and pumpkin, mixing until combined. 4. Slowly add flour mixture, mixing just until combined. 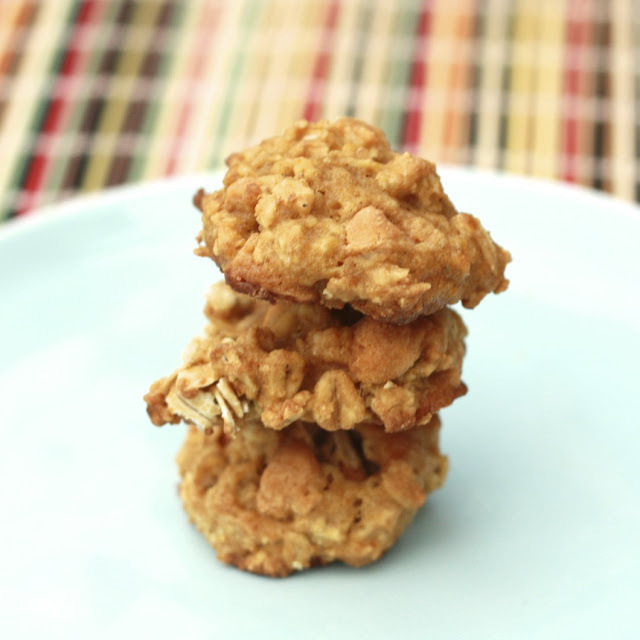 Stir in oats and butterscotch chips. 5. Drop tablespoons of dough onto prepared baking sheets. Bake for 10-12 minutes (cookies will be set and golden). Remove from oven and allow to cool for a few minutes before transferring to a wire rack to cool completely.